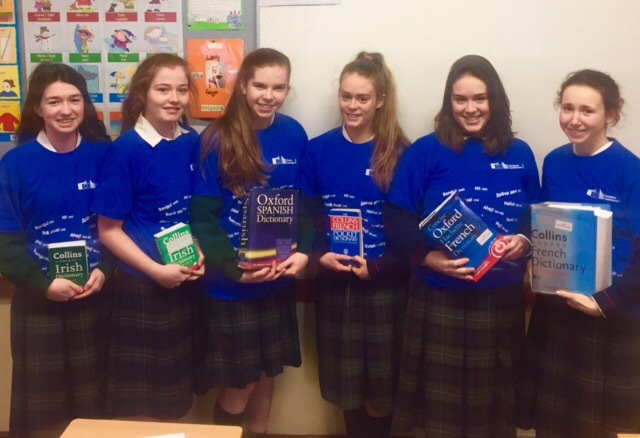 Well done to Aoibheann Murray, Hannah Macaulay, Anne Whelan, Alex O’Connor, Caoimhe Gaughan and Ellen McGrath who participated this morning in the Juvenes Translatores competition which was organised by the European Union Language Commission. Only 11 schools in Ireland are selected to take part each year. This morning the girls translated texts from Irish, French and Spanish into English. Winners will be announced in February. Bonne chance, buena suerte and go n-éirí libh.